It is not a huge revelation that fuel prices are on the rise. Many experts are predicting $5 per gallon for unleaded regular by summer. Is it because of the unrest in the Middle East, the futures market or a combination of those and other factors? Does it really matter if you are the one paying the price at the pumps? Guess what? 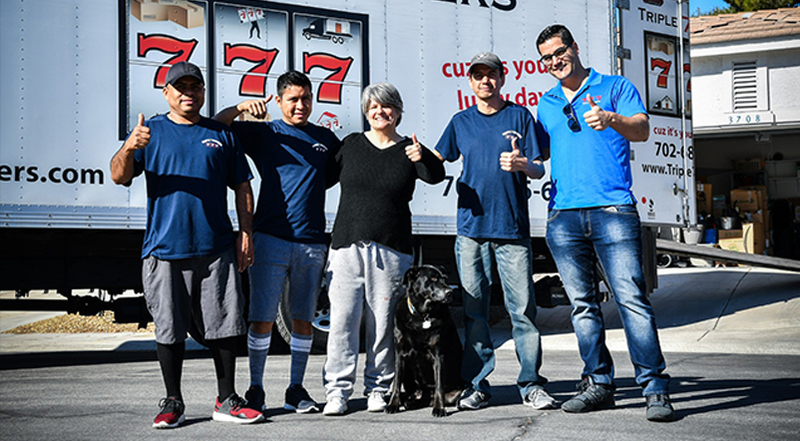 Being in the moving business fuel is one of our biggest costs. We are going to have to increase our as the prices continue to rise. Here is what we can do for you. If you are not moving for a couple of months we will lock in your moving price and fuel charge at today’s rate with only a $150 – $300 deposit (fully refundable). By locking in today, you can concentrate on all of the other important items that you need to attend to make your move. If you get a lower quote from any legitimate mover, we will price match it and still hold the line on the fuel charges. Use linens and towels as packing materials. Most of us have a lot more towels and sheets etc., that we don’t use on a daily basis. Why not use them to pack your breakable things? Will that save you money on buying packing materials? Yes! We just received a very nice letter from CBS Radio (yes that CBS).We moved a group of six of their radio stations for them and they sent us a very nice letter. (click on the link if you want to read it) CBSletter. We also received a very nice card from a woman who had us do a local move. She was very particular about how every detail of her moved was handled and told us how pleased she was with our service from the initial quote to the final move. It is a please to have such customers as this. What If We Rent a Truck and Do It Ourselves? A lot of people look at the possibility of renting a truck and making the move themselves. They think that they will save a lot of money. In most cases we can do it for less money. How you say? If you rent a 17’ truck from another company and are moving to say South Carolina, the truck is going to cost you $1,600, to Florida the cost is $1,722. Normally these trucks get about 8 or 9 miles per gallon. For a trip of 2,000 miles (2,000/8 = 250 gals * $4.00 per gallon = $1,000 for fuel) So far you are at $2,600. Guess who is going to load, which takes into account taking things apart packing, wrapping, and loading, by yourself (what is your time worth?) or with friends. Then drive across country in a truck (wind is always fun…. talk about a workout and dangerous). Then you get to unload the truck. Maybe you can hire a couple of guys to help you. (Maybe they can case your new home while they are at it). Also because the truck will not be as fast as you car, how much longer will it take, extra nights at motels, more meals on the road etc? So if you add it all up you will see that it really is more expensive in most cases. 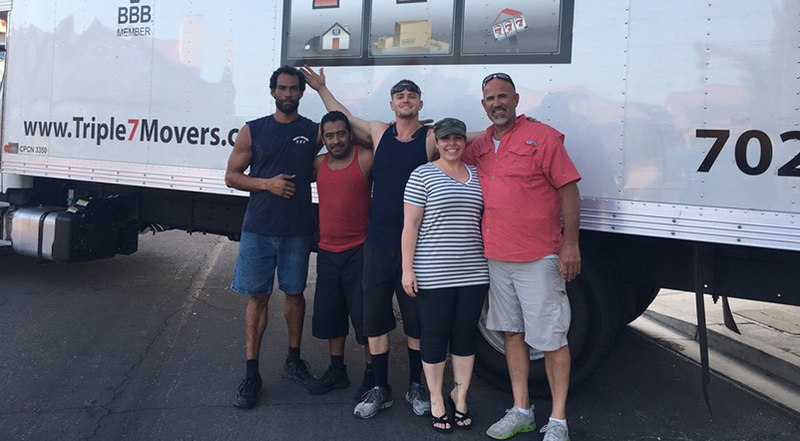 If your move is over 800 miles we can do it for less money. Are you moving to a new city, or town and don’t have a place to live yet? How about we pick up your things put them in storage (our facility) and store them for you for 30 days at NO CHARGE? When you get to where you are going and find a place to live we will ship them to you. Sure beats racing the moving truck across country and having to pick a place to live without really having a chance to look around. When you get quotes from other movers, please go to www.BBB.com and check them all out. 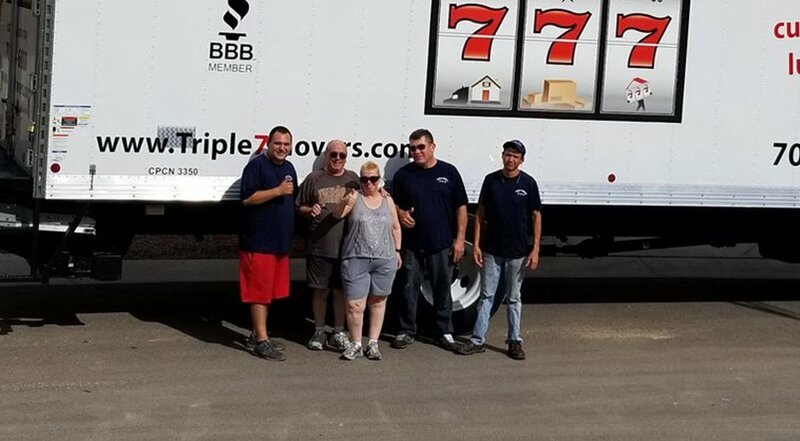 At Triple 7 Movers we are very proud of our A- rating with the BBB. We are a family owned business and pride ourselves on our ethics and how we do business. We have an excellent referral base. We also own our trucks and our drivers and crews have had background checks and they are all covered under Workman’s Comp (very important concerning your liability).